Did you happen to get beets and butternut squash in your winter CSA share this week? 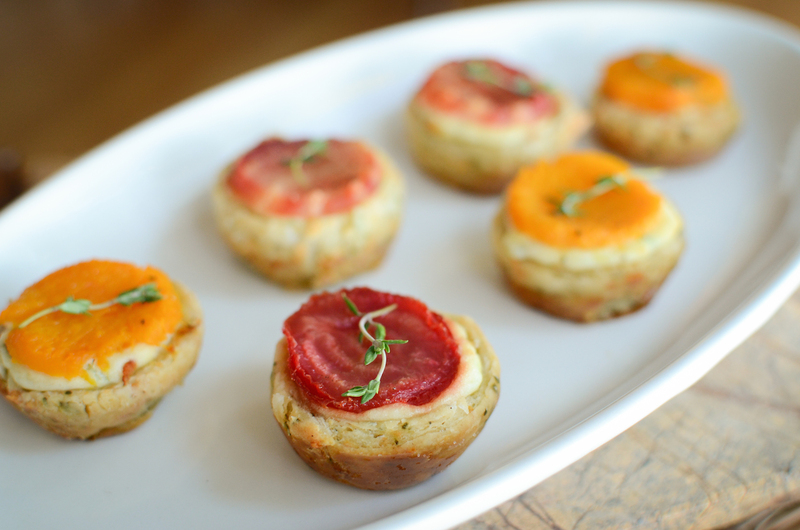 Go elegant – and make these cute little bite-sized appetizers! They are like little jewels, filled with a fluffy mixture of goat cheese, ricotta and herbs, and capped with roasted beet and/or butternut squash. They can be vegetarian of course, but I couldn’t help myself, I’ve hidden a little bacon in the ones in this picture. And, bonus! – they can be baked, cooled and frozen so you can make them ahead of your dinner party and heat them up just before. Rinse and wrap beets tightly in foil. Peel butternut squash and cut the tall portion of the squash in half. Reserve the belly portion of the squash for another use. Wrap the squash halves tightly in foil. Roast the beets and squash until just tender. The squash will take less time, test it with a toothpick at about 20 minutes, and then every 5 minutes thereafter until just tender. The beets might take closer to 40-45 minutes. Remove the beets and squash when they are just tender, unwrap and allow to cool. When cool, rub or peel the skin off the beets. Heat the olive oil in a sauté pan over medium high heat. Add the onions, and sauté until translucent. Add the garlic and sauté for a minute more. Season with salt and pepper to taste. Set aside. Into the bowl of a food processor, add the goat cheese, ricotta, milk, egg yolks, Parmesan cheese, and herbs and puree until smooth. Season with salt and pepper to taste. Set aside. On a floured counter or board, roll out the chilled tart dough until it’s about ¼” thick. 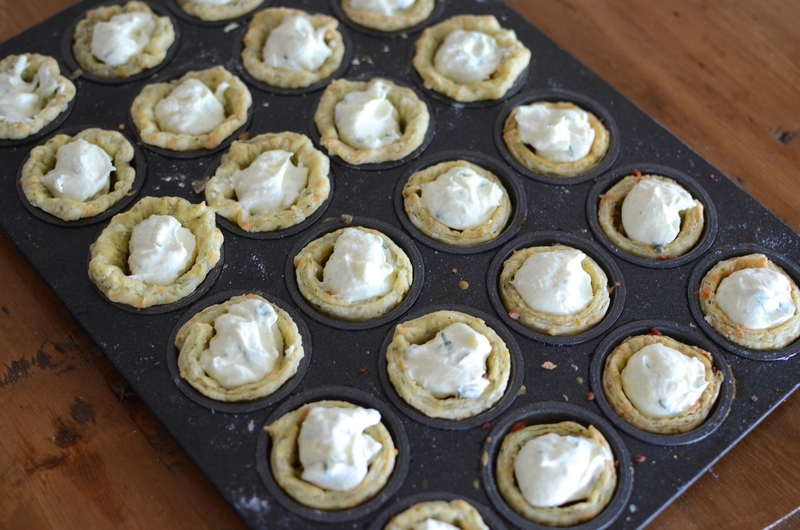 Using a shot glass or cookie cutter with a mouth just wider than the mini-tartlets, cut disks of dough and press them into the mini-tartlet pan, forming little cups. 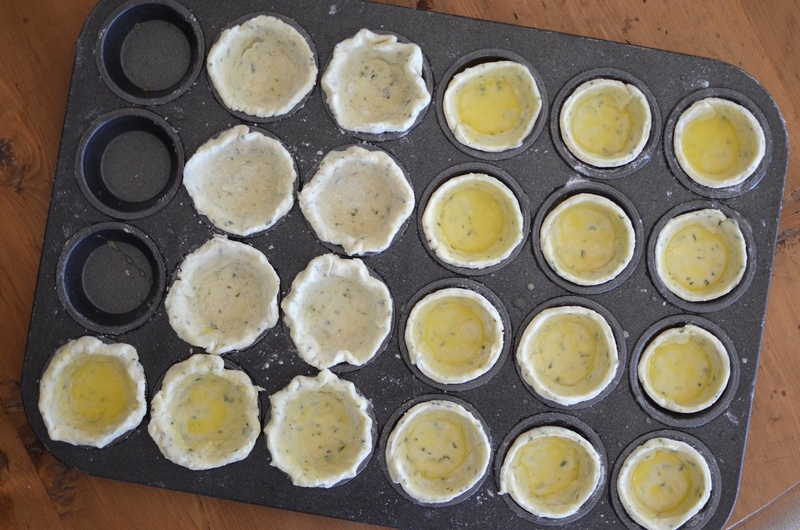 Pre-bake the tart shells for about 15-20 minutes, until fully cooked and puffed. Using the bottom of a shot glass, press down each pastry cup to remove any bubbles. Allow to cool completely. 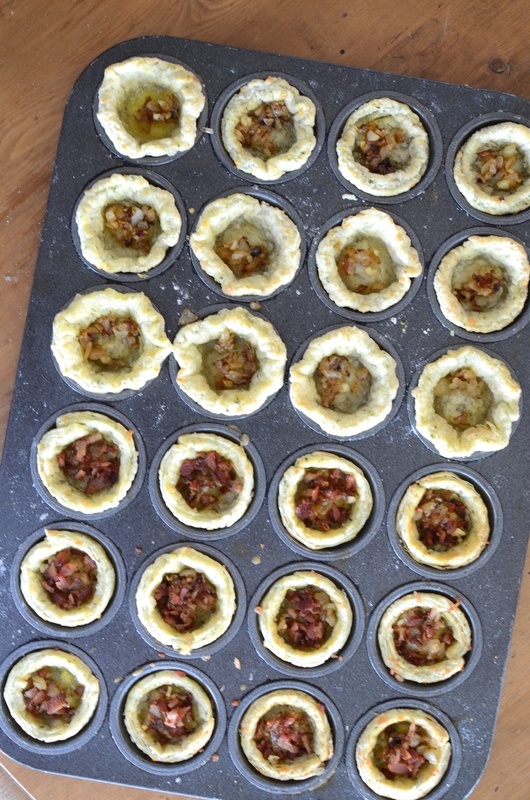 When tart shells are cool, place a little of the onion and garlic mixture on the bottom of each cup. Then fill each cup with goat cheese mixture, approx. 1 heaping tablespoon each. On separate boards, slice the butternut squash and the beets into ½ inch slices. 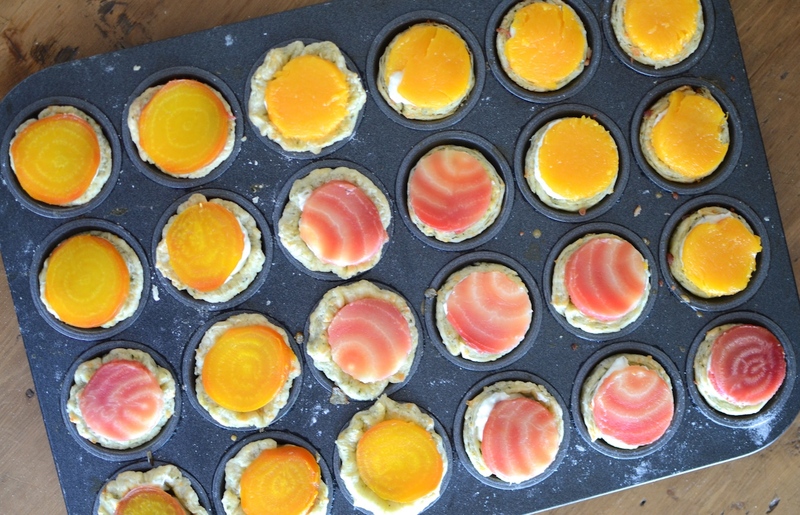 Using the same shot glass or cookie cutter, cut disks from both the squash and the beets and place one disk on top of each of the tarts. Put the tarts back in the oven and bake for about 20-25 minutes until the cheese is just set. Serve warm or room temperature. Garnish with fresh thyme. In a food processor, pulse together the flour, cheese and salt. Add butter and pulse until butter pieces are the size of small peas. Add egg yolk and herbs and pulse until just combined. Slowly add the water and pulse until the mixture just begins to hold together. Turn the mixture out onto a clean counter and form into a disk. Cover completely in plastic wrap and refrigerate until ready to use, at least 30 minutes.